Heat oven to 350°F. Unroll 1 can of dough. Place in bottom of ungreased 13x9-inch (3-quart) baking dish. Press in bottom of baking dish. In medium bowl, beat cream cheese, 1 cup of the sugar and the lemon peel with electric mixer on medium speed until smooth and creamy. 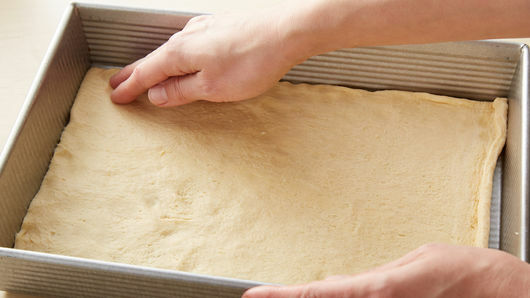 Spread over dough in baking dish. Set aside. 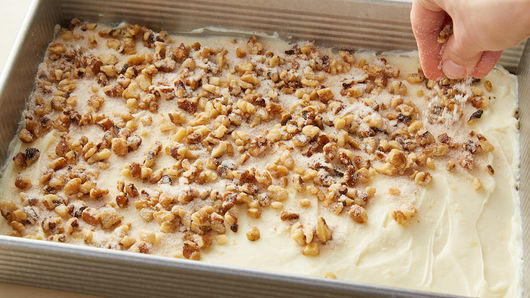 In medium bowl, mix remaining 1/2 cup sugar, the walnuts and cinnamon; sprinkle evenly over cream cheese mixture. 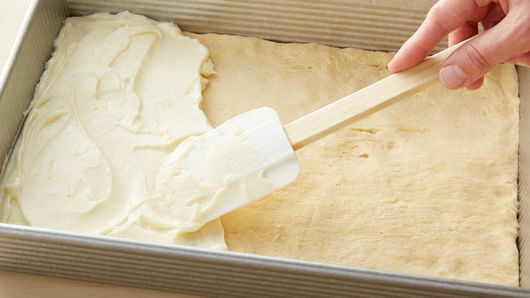 Unroll second can of dough. 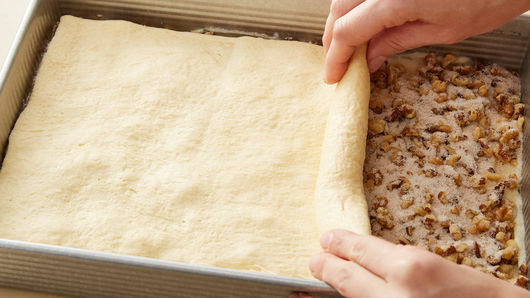 Carefully place on top of walnut mixture, stretching dough to cover filling. In small bowl, mix honey and lemon juice; brush over dough. Bake 30 to 35 minutes or until golden brown. Cool 20 minutes. Refrigerate about 3 hours or until well chilled. For diamond shapes, cut 6 diagonal parallel lines down length of pan; cut 6 diagonal lines across straight lines. 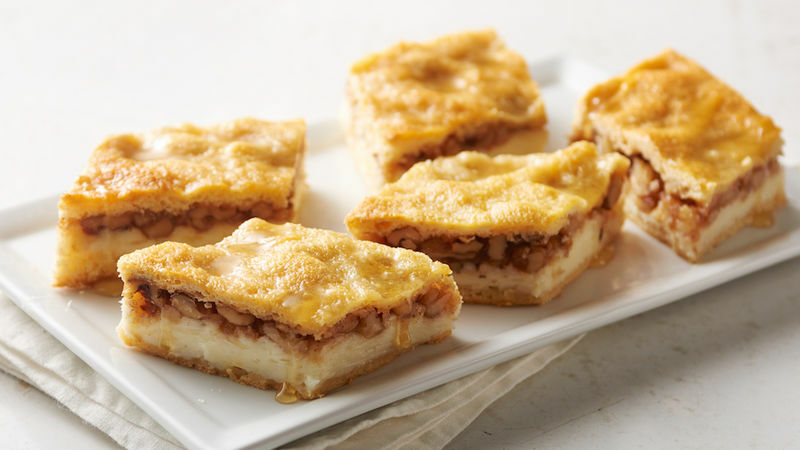 Any of your favorite nuts can be used in this recipe. Baklava (bahk-lah-VAH) is a sweet dessert made with layers of butter-drenched pastry, spices and nuts. A honey-lemon syrup is poured over the baked warm pastry and left to soak.